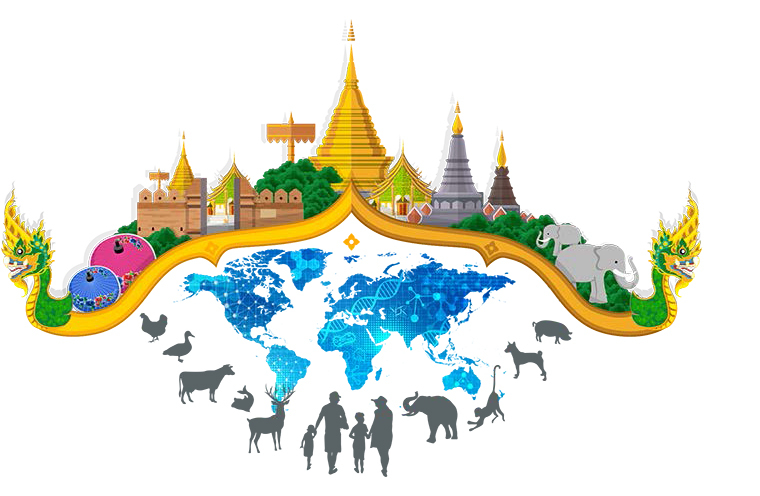 The potential of ontologies to improve surveillance in resource-constrained environments was highlighted by members linked to this group at the 15th meeting of the International Society for Veterinary Epidemiology and Economics (ISVEE-15) in Chiang Mai, Thailand. This meeting, which takes place every three years, is arguably the largest global gathering of veterinary epidemiologists and related researchers. This year’s theme was, “Learning & Sharing Today, Building Better Animal & Human Health Tomorrow”. On the first day of the conference our colleague Laura Skippen presented a talk entitled, “Improving animal healthcare decision-making in Ethiopian paraprofessionals using a smartphone application”. This application is currently being expanded to deal with a much wider set of animal species and diseases, as well as languages, and ontologies are being used to support these extensions. Later in the conference a poster was presented which provided additional details as to how this ontology-based support was being delivered as part of the Differential Disease Diagnosis Framework (D3F). Use this link to download the poster, Using ontologies to create open source smartphone-based differential disease diagnosis and reporting tools for animals in rural settings, for more details. Last week a group of over 300 data analysts, digital solution providers and researchers from a variety of plant and animal science sectors gathered in Nairobi, Kenya to share experiences and discuss the challenges involved in “Decoding the Data Ecosystem”. This was the title given to the 2nd Big Data in Agriculture Convention run by the CGIAR and was somewhat unusual for such conventions in that the word “ontology” appeared in titles of talks or seminars on each of the three days. 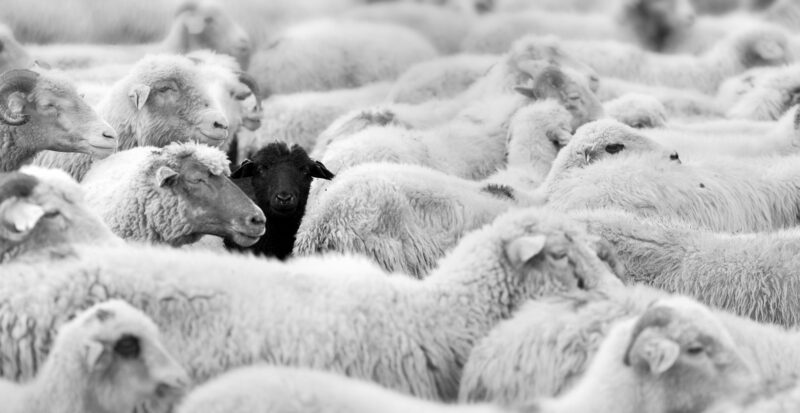 Last week the InnovSur forum discussed “the gaps and needs in next generation of health surveillance: innovations in animal, human and environmental health surveillance”. 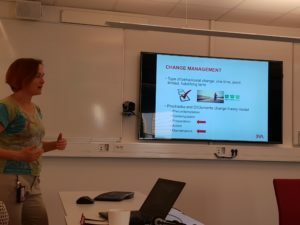 Our own Ann Lindberg was one of the Keynote speakers, with an informative presentation on “Exploring drivers and constraints to evidence-based change in animal health surveillance systems” which you can find here. How do we strengthen our research to support policy? How do we ensure that surveillance research gets translated into surveillance practice? Find more information in the presentation and in the InnovSur website, through the links above. Estelle Ågren presented the poster “Assessing surveillance of endemic disease by calculation of case-finding capacity”, which describes an evaluation method for surveillance with multiple and risk-based components (SC). See the poster for Methods and Results. And remember to save the date for the 4th International Conference on Animal Health Surveillance – 20-22 of May, 2020, in Copenhagen!!! Spreading the ontology Gospel, #SVEPM 2018, Tallinn. 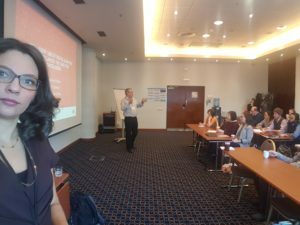 Fernanda Dórea and Crawford Revie were one of the workshop organizers that opened this year’s meeting of the Society for Veterinary Epidemiology and Preventive Medicine (SVEPM). The workshop was titled “Intelligent use of digital data for surveillance – the case for ontologies”. The 5th MedVetNet conference took place at the University of Surrey, 27-29 June 2017. 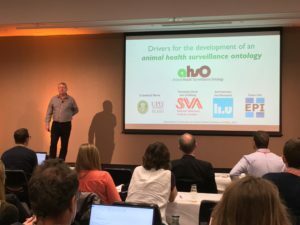 A chance to present the Animal Health Surveillance Ontology and discuss data-driven applications in animal health in general, and surveillance in particular. – Dr. Alex Cook discussed opportunities, barriers and drivers. – Dr. Fernanda Dórea introduced AHSO – you can get the full presentation here. AHSO is a project funded by Vinnova, with co-funding from the Swedish National Veterinary Institute (SVA). For more information on the project partners, visit the AHSO page. The third edition of the International Conference of Animal Health Surveillance (ICAHS) took place from April 30th to May 4th, 2017 (http://www.animalhealthsurveillance.org/). Dr. Revie represented the AHSO project with the oral presentation “Drivers for the development of an animal health surveillance ontology “. The power point presentation can de found here, and the 3 page abstract.